Spring is very nearly here, and by this point we weren't expecting to hear anything about Star Wars: Battlefront until EA's press conference at E3 in June. If you're looking forward to this game, though, you're in luck. 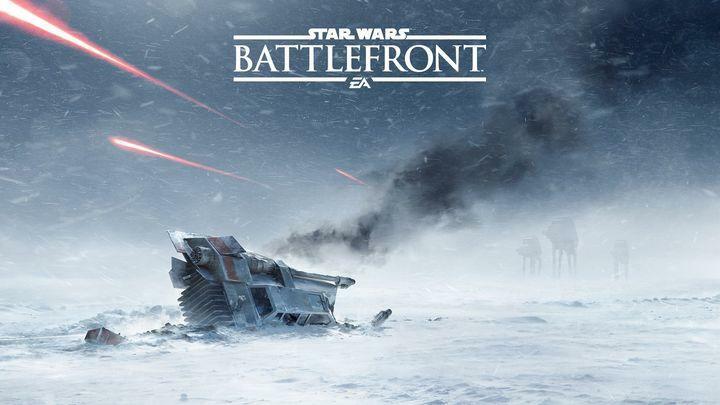 EA and DICE plan to unveil the game a full two months earlier than expected. We're thrilled to share that Star Wars Battlefront will be taking part in Star Wars Celebration next month in Anaheim, CA from April 16-19," said Electronic Arts in a statement. "We could not think of a better or more appropriate place to debut the game officially for the first time than the premier event that celebrates the Star Wars universe and the legions of fans who have fallen in love with it. Battlefront started life as a primarily console-based Battlefield-style shooter in 2004 and was well received, as was its direct sequel. A third was in development before being canned some years ago. EA showed off a teaser for the revival of the license at E3 2014 to much excitement and put a generic Holiday 2015 release date on the box with it. DICE, the team behind the main line of Battlefield games, has been concentrating on this title while EA's Visceral studio was working on the recently released Battlefield Hardline. We're looking forward to seeing just what DICE has been working on next month.